Naturally, Italy is one of my favourite countries to visit, being the (half) Italian that I am. In all honestly I could go every year and never tire of the energy, food, beaches, architecture, history, style, people.... and so on. This year, my family rented an Airbnb villa in Levanto to explore a region we hadn't been to before, Cinque Terre. I'll dedicate an entire post to the 5 towns, but in this post I wanted to focus on the area and house we stayed at in Levanto. 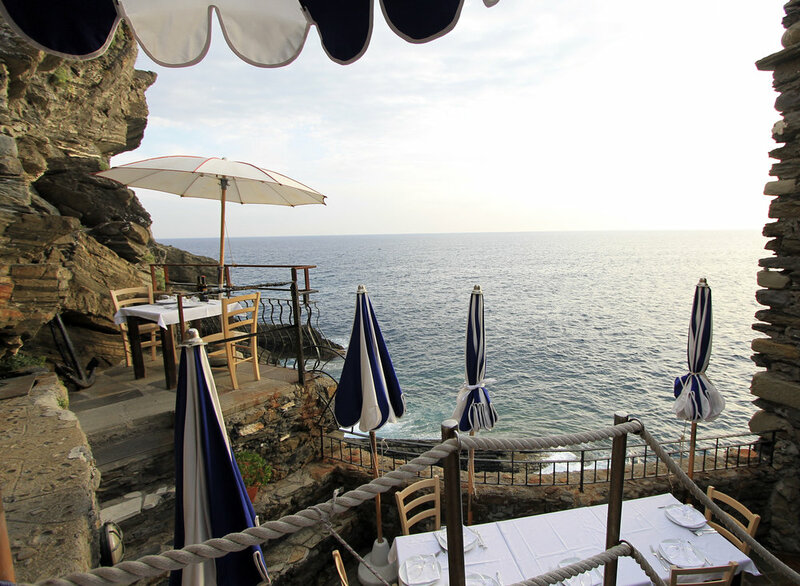 When travelling to Cinque Terre, the options for entire homes to rent are pretty slim. Each town has small apartments and hotels, but we wanted a larger house with an outdoor space as there would be 6 of us traveling together. 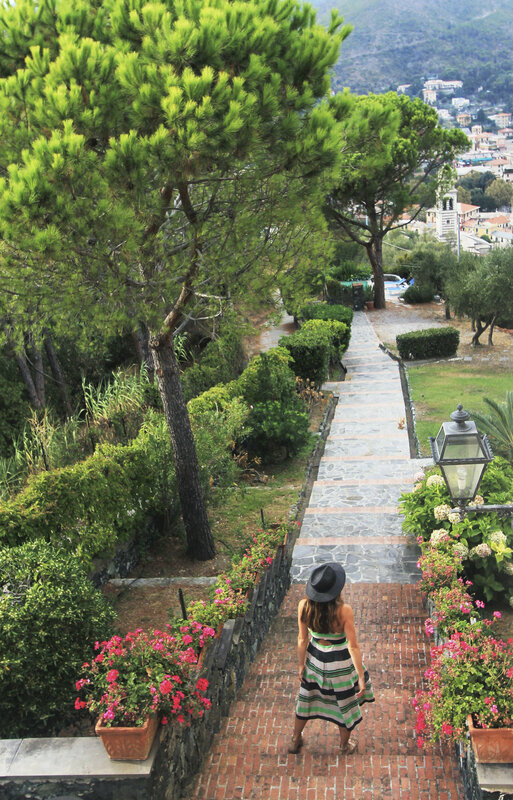 We came across Villa Mesco, which is right at the edge of Cinque Terre, in a town called Levanto. The villa is literally at the start of the hike between Levanto and Monterosso (the first of the 5 towns, heading from north to south). It looked absolutely beautiful on the Airbnb listing, with a sprawling yard covered in plants, archways, flowers, and a huge patio, plus a pool. We were absolutely not disappointed upon arrival! It was such a perfect place to stay and use as a base to explore the entire region. 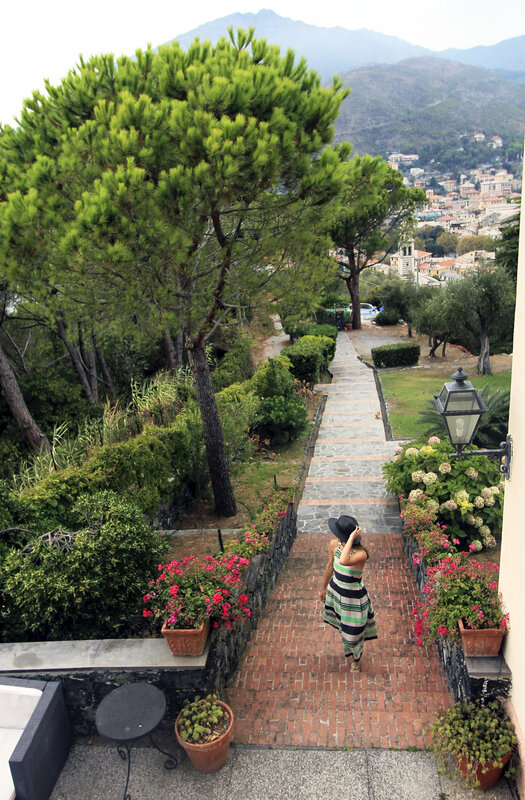 The house itself is a very traditional, classic Italian style home, so we didn't expect anything too updated. This suited us just fine. The pool and patio were perfection, and the house was very spacious. It's at the top of a hill so the views were just incredible. The only downside was having to hike up and down the hill to get anywhere, but we definitely were able to work off all the pasta and gelato so no harm done! Levanto itself is bigger than any of the 5 towns that make up Cinque Terre, so there were many grocery stores, shops, restaurants, etc., and the town never felt too crowded or busy as it doesn't draw the crowds as much as the 5 towns do. This was great because Levanto has a large, beautiful beach that we could ALWAYS get a spot on (you won't get a chair in Monterosso, the only town with a full beach, unless you get there first thing in the morning). A few other things we did in Levanto that were so enjoyable included renting a small boat to explore the coastline by sea, trying nearly all of the gelato and focaccia shops in town, and exploring the streets. There was also an amazing restaurant in town that we loved called La Loggia, with a gorgeous stone patio, and a bar with delicious cocktails that we went to one night, called Controvento. Levanto was such a great area to stay in and explore the entire region from! Our Airbnb made the experience an absolute dream.